PRESIDENTIAL elections in Singapore rarely set pulses racing. The job is that of a well-paid but largely ceremonial head of state, who is not allowed to represent any particular party. The poll on August 27th was the fourth time the post has been directly elected, but the first time there has been any doubt at all about the outcome. Four candidates competed, all surnamed Tan. 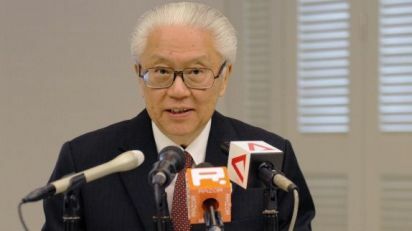 One, Tony Tan Keng Yam, was seen as the representative of the government and the People’s Action Party (PAP), which has ruled Singapore ever since it withdrew from the Malaysian Federation in 1965. As expected, he won. But he barely scraped home, with a shade over 35% of vaild votes cast, and just 7,000 more than his nearest challenger, Tan Cheng Bock, a former PAP MP, who campaigned against his former party colleague. Tan Jee Say, a former senior civil servant and banker who was an opposition candidate in the general election in May, won 25%, and the fourth candidate, Tan Kin Lian, just 5%. Voting is compulsory but nearly 2% of voters spoiled their ballots—more than 37,000, it was judged. The PAP never endorsed Tony Tan formally. But he has held a number of cabinet jobs, and the prime minister, Lee Hsien Loong, enthusiastically endorsed his candidacy. He also enjoyed the backing of party activists, trade unions, chambers of commerce and community groups. So, that he won not much more than a third of the vote is a remarkable slap in the face for the government. All the same PAP diehards protested that, since two former PAP MPs had garnered 70% of the vote, this was an endorsement for the party. This follows the general election in May when the PAP did worse than in any election since 1965. It still won 60% of the vote, which left it, in Singapore’s first-past-the-post system, with 81 out of 87 elected seats in parliament. But the party acknowledged it as a setback, and Mr Lee promised to do some “soul-searching”. Voters seem to feel, however, that the government has still not got the message. The presidential election turned into a relatively low-risk chance to teach it a lesson. A constitutional change in 1991 accorded the president some limited powers—including a veto over the government’s use of past financial reserves, and over senior appointments. The idea was to install a check over a putative future government that was spendthrift and populist, and stacked the civil service with its cronies. The eligibility criteria for presidential candidates are strict, ensuring that only pillars of the establishment need apply. Until this year, only the first direct presidential election in 1993 had more than one candidate—in that case a virtual unknown who barely campaigned, but who still, in a foretaste of this year’s shock, won more than 40% of the votes. They reflect a widespread sense that the government, blinded by Singapore’s astonishing economic progress, has lost touch with the grievances of ordinary citizens. This sense is in part about particular issues, such as the cost of housing or immigration, which some blame for depressing local wages. But it is as much a question of style—a resentment at what is seen as the government’s paternalistic belief that it knows best. They also reflect the breakdown, thanks to the internet, and especially social-networking sites, of the government’s virtual monopoly over the media. In both general and presidential elections, the government’s opponents were able to change the terms of the debate by taking it online. For example, when one of the newly elected opposition MPs complained on his Facebook page that he was not allowed to attend constituency functions on a public-housing estate, the issue soon became a national one about the perception of a pro-PAP bias in public bodies. Singapore's former deputy prime minister Tony Tan has won the country's presidential election by a narrow margin. The result was announced after a recount between Tony Tan and fellow front-runner Tan Cheng Bock. Tony Tan, 71, was seen as the preferred candidate of the governing People's Action Party, which has run Singapore since independence. Singapore's presidency is a largely ceremonial position. The election was the first of its kind for 18 years. Election officials said Tony Tan won by just 7,269 votes out of just over two million valid votes cast in Saturday's four-way race. The Elections Department ordered a recount after the first tally showed the two front-runners were less than two percentage points apart. The four candidates all shared the same surname, Tan. Tony Tan's slim margin is seen as a blow for Prime Minister Lee Hsien Loong who had backed him in the run-up to the election. In a general election three months ago, the People's Action Party won all but six seats, but the opposition made significant gains. Voters expressed their anger over immigration, living costs and high government salaries. Singapore - a former British colony with a Westminster-style parliamentary system - instituted the position of president in 1965 when it became a republic. Presidential candidates run as individuals because Singapore's head of state is supposed to be non-partisan. Voices questioning the competence of the newly-elected Singapore president could be heard within the society right after the results of the country's presidential election was announced. After a fierce contest, former Singapore Deputy Prime Minister Tony Tan won a narrow victory by receiving 744,397 votes, or 35.19% of about 2.1 million votes. Former member of parliament Tan Cheng Bock received 737,128 votes, or 34.85% and Tony defeated Cheng Bock by a narrow margin of 7,269, or 0.34%! 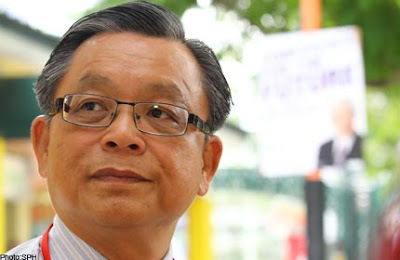 Tan Jee Say, seen as the biggest rival of Tony Tan before the election, earned 529,732 votes, or 25.04% while Tan Kin Lian got 103,931 votes, or 4.91%. Some posted online after the result announcement that if Jee Say and Kin Lian did not contest this time, Tony would be the second George Yeo. Also, some "congratulated" Tony for being elected the President of Singapore by 737,128 voters out of the total population of about 5 million people, implying that Tony won because of votes from "immigrants". Even though Tony was openly supported by dozens of unions and associations, as well as being secretly "blessed" by the People's Action Party (PAP), he was able to only won a narrow margin by less than 1%. It was indeed an embarrassing victory. It has not only set a blow to the personal prestige of "the people's President", but as well brought another shock after the general election in May. The general election in May has been described as an important watershed for Singapore's political history as the PAP won only 60% of votes while losing a Group Representation Constituency (GRC) for the first time. Nevertheless, public opinion still believes that the PAP holds at least 40% of iron votes. However, the presidential election results showed that the iron votes of the PAP might be only 35%. It is undoubtedly another political defeat for the PAP, but a great encouragement for the opposition. In addition, there were as many as 37, 826 invalid votes, which were five times more than the 7,269 majority votes of Tony! This has further made the election of Tony less convincing. Why did so many Singaporeans give up the chance to create a history in Singapore this time? This is in fact another issue to be studied. Although the Singapore government has deliberately kept a distance from the presidential election, the fierce election has apparently led to many surprising political changes. Among the most significant changes is that voters have become more strong-minded. They now dare to challenge the strongman's political authority, as well as oppose to the conservative political system. These changes have led to the emergence of a new political landscape in Singapore, as well as a more competitive new era with more possibilities! First-past-the-post system no longer viable for Singapore? THE Presidential Election brought forth many debates over the powers of the office but, following the close results, perhaps the debate should now centre on the viability of the first-past-the-post (FPTP) electoral system. It is undeniable that under this system, Dr Tony Tan garnered the most votes and won. But 64.8 percent of the electorate also did not vote for him. The FPTP system has provided for strong governments and clear winners in past General Elections (GE) and Presidential Elections here. However, given that Dr Tan himself has described the political post-GE climate as a "new normal", perhaps it is time to reconsider the system for something that can accommodate a larger pool of candidates, without diluting the votes that each can garner. Dr Tan Cheng Bock, in conceding defeat, said: "Even though I lost by only 0.34 per cent ... we have to follow our British system, first past the post." However, the British, who have been the proponents of this electoral system for years, have themselves considered change. Recently, a referendum was held in the United Kingdom for a change in the electoral system, and although the results seemed to show that the electorate was against a change, there was a low voter turnout of 42.2 per cent. More importantly, counting districts such as those in London, Oxford, Cambridge and Edinburgh Central, cities comparable to Singapore, recorded "Yes" votes above 50 per cent. There are several alternative electoral systems out there under the system of preferential voting, a type of ballot structure in which voters rank candidates in order of relative preference. These include the single transferable vote and the instant runoff voting, which are used in America, the United Kingdom and Australia. Take for example the instant runoff voting, where voters' ballots are first counted as one vote for their first-choice candidate. If a candidate secures a majority of votes cast, he/she wins. Otherwise, the candidate with the fewest votes is eliminated, and a new round of counting takes place, with the second choice from each ballot for the eliminated candidate counted as one vote for the remaining candidates. This process continues until a candidate receives a majority of the vote against the remaining candidates. If such a system had been used for the recently concluded Presidential Elections, it would have resulted in a winner with a larger majority of the votes. The 40 per cent opposition vote in the May General Election (GE) did not translate into support for losing presidential candidate Tan Jee Say yesterday. He got 25.04 per cent of the votes, coming in third. The winner, Dr Tony Tan got 35.19 per cent. Dr Tan Cheng Bock who came in second got 34.85 per cent. MrTan Kin Lian came in last with 4.91 per cent. Speaking to reporters at Bedok Stadium around 1.30am today before the results were announced, MrTan Jee Say, a former senior civil servant, said that if there was to be a winner other than him, he preferred Dr Tan Cheng Bock. Mr Tan said it had been a "good fight" and that the trust gained from his supporters will "never be misplaced". He also believed that his seemingly confrontational image had indeed cost him votes. Mr Tan added he wished he had three months to campaign for his presidential bid. "You can scrutinise candidates better. I am not confrontational. That's an image that has been created. I had not gone on the streets to throw stones." People who voted for the Opposition in the GE would not simply vote for a former opposition man in the Presidential Election (PE), said Dr Reuben Wong, an assistant professor at the Department of Political Science, National University of Singapore. "With the media blitz and debates that have been taking place, Singaporeans have been made to think more about the role of the Elected President," Dr Wong said. "Singaporeans know that you don't vote for a president for the purpose of performing checks on the Government, which was a platform Tan Jee Say campaigned very much upon," Dr Wong said. Associate Professor Cherian George at the Nanyang Technological University's Wee Kim Wee School of Communication and Information said Mr Tan's candidacy probably worked to rival Dr Tan Cheng Bock's advantage. "Mr Tan Jee Say might have directed votes which did not favour Dr Tony Tan towards Dr Tan Cheng Bock, because he came across as too confrontational or too young," said Dr George. Dr Wong added that Mr Tan also lost because of his inability to convince voters that he was above party politics. The 57-year-old stressed throughout his campaign that he did not have "emotional ties" to the People's Action Party (PAP), having never been a member of it. But this might not have worked to his advantage, Dr Wong asserted. "In addition to the enduring image that he is confrontational, he couldn't convincingly answer to the charge that presidents should not be partisan and be above party politics. "In my opinion, he wasn't able to assure voters that he would not discriminate against the PAP," he said. But Dr George said Singaporeans should not forget who Mr Tan was up against. "Dr Tony Tan is a household name, and Dr Tan Cheng Bock relatively well-known. "To even get a single percentage point away from these candidates is something that is extremely difficult," he said. The father of four had been optimistic about his chances throughout Polling Day. Earlier, after casting his vote at St Stephen's School at Siglap View, Mr Tan felt that his views had "resonated with the people". The intermittent downpour yesterday did little to dampen the spirits of Mr Tan, who commented that he saw the showers as a blessing. He added that his wife was his lucky charm. The Oxford University graduate studied Philosophy, Politics and Economics on a government scholarship before joining the civil service for 11 years. He later joined the private finance sector, and is currently an investment advisor. He stood in this year's GE as a candidate with the opposition Singapore Democratic Party. So will we see him in the next election? Said Mr Tan: "I will have to talk to my supporters and see what role I can play." Tan Jee Say told the press last night on what he believes are four factors that contributed to his loss in the Presidential Election. Tan won 25.04% of the votes on Polling Day, or 529,732 of the valid votes. He said that he is satisfied with the results of the election but expressed that there is room for improvement. He attributes his loss to four factors. Tan feels that a longer campaign period of three months would have let him connect better with the electorate. There will be more time to communicate his ideas and allow the voters to know him better. Tan states that his political career is far shorter than the other candidates. He has never been a member of parliament nor a deputy prime minister. He is not well known to many Singaporeans and lacks a political track record. Tan said that he connected with younger voters through the internet and this has won him many votes. But he did not get through to the older generation of Singaporeans as they do not get on the internet as much. Tan emphasised that many misunderstand and thinks that he will be confrontational towards the government. This has lost him some votes. KUALA LUMPUR - Voter discontent and a contest that was too close to call were the hallmarks of Singapore's presidential election last weekend -- much like the general election in May. Former deputy prime minister Dr Tony Tan won 35.2 per cent of the 2.1 million votes on Saturday, closely followed by former People's Action Party (PAP) member of parliament Dr Tan Cheng Bock with 34.8 per cent. In the May 7 polls, the opposition Workers' Party (WP) team had wrested the Aljunied Group Representation Constituency from the PAP team with a 9.4 per cent majority. "Coming so close after the general election, the presidential election was a continuation of the voters' reaction -- to deliver a more concrete message that they are still not satisfied," said a former grassroots leader. After the general election, Prime Minister Lee Hsien Loong reshuffled his cabinet, set up a committee to review ministerial salaries and began to tackle concerns about the cost of housing and the impact of the large number of foreigners on public infrastructure. "Addressing housing and transport will take time," said former administrative officer Donald Low. A more structural issue, he noted, was the question of fairness, "which was made very salient by the WP dispute with the People's Association over the use of community facilities". Back in June, WP chairman Sylvia Lim said the Housing Development Board had informed the Aljunied-Hougang Town Council (combining the two constituencies that WP won in the general election) in an email that it had leased 26 public sites that the council had managed to the People's Association, a statutory board administering a network of grassroots organisations. On Aug 15, Lim said, the People's Association informed the party that "booking by WP will not be allowed". The sites -- mainly fields and hard courts often used for community events -- were "strategically located and convenient to residents", she said, adding that the move would prevent the party's MPs from organising activities and curtail their "ground presence". Desmond Choo, the PAP candidate who lost to WP's Yaw Shing Leong in May, is now Hougang's grassroots adviser. He responded in a media statement that grassroots activities had been curtailed by town councils run by the WP. During the presidential campaign period, Tan called for an investigation into the dispute. "It is important that justice and fairness should be done, and not only that; the public should see that justice and fairness have been done," he told reporters during a walkabout. "But grassroots organisations under the People's Association umbrella serve the PAP-appointed adviser, whether or not he or she is the elected MP," Low pointed out. Although he had hoped for political and institutional reform after the May polls, he wrote, "As the Aljunied debacle shows, things are depressingly similar." Election observers agree that Tan, the PAP's preferred candidate, drew his support from the party's traditional vote bank. But they're divided on how to interpret the rest of the votes. "The combined votes of Dr Tony Tan and Dr Tan Cheng Bock are actually the PAP voters," said the former grassroots leader. "The people decided the two candidates who talked about keeping to the constitutional and institutional role of the president got 70 per cent of the votes." Assoc Prof Dr Alan Chong of the Nanyang Technological University's School of International Studies, disagreed. "Tan Cheng Bock made it clear his supporters were an amalgamation of opposition and ruling party supporters," he argued. "He was the ultimate centrist candidate, with the tendencies and independent streak of an opposition member." For Chong, the presidential election continued a healthy trend. "The spirit of democratic competition has come back, beginning with the general election. "Now the supposedly tranquil presidential election has turned into something far feistier. Singaporean democracy is definitely alive and well. The PAP can no longer take Singaporean votes for granted, as they have done in the past." Although the Elections Department did not release the breakdown of votes by electoral divisions, unofficial indications obtained from various sources showed a disparity in voting patterns. In a report in The Straits Times, the final tally showed that support was spread unevenly across the island. Although Dr Tony Tan won by a slight margin of 0.34 percentage point, the gap in favour was much larger in many areas. Dr Tan Cheng Bock had a clear lead in certain parts - he won handsomely in large parts of the west like Ayer Rajah, Jurong and Choa Chu Kang. Dr Tan Cheng Bock was MP for Ayer Rajah for 25 years and runs a clinic in Jurong West. He also won a large number of votes in north-eastern new towns like Punggol and Sengkang. As for Dr Tony Tan, who was MP for Sembawang for 27 years, won consistently in areas in the north, centre and east like Sembawang, Nee Soon and East Coast. In many of these areas, the front-runner was often a clear three to six percentage points ahead of the second- placed candidate, according to sources. The Straits Times reported that sources on both sides attribute the geographic disparity to the fact that both Dr Tans have established good reputations in the area. They also have local grassroots workers there. There could also be an element of demographic reasons for the differences across the island. In areas such as Punggol and Sengkang where there is a dispportionate number of young residents, Dr Tan Cheng Bock was seen to have led the count there and in parts of Hougang new town and Hougang single-member constituency (SMC). In Aljunied GRC, both Dr Tans are said to have obtained around 30 per cent of valid votes, similar to that obtained by Mr Tan Jee Say there. As for Dr Tony Tan, he did well in older estates like Bedok and Pasir Ris - estates that have traditionally been supportive of the People's Action Party (PAP). However, he had a greater lead in areas like East Coast GRC's Siglap ward and Joo Chiat SMC, where 85 per cent and 99 per cent of voters respectively live in private housing. Dr Tony Tan received 30 per cent of the vote in Siglap and 41 per cent in Joo Chiat. It also seems that Dr Tony Tan's strong financial and economics background have likely drawn the more upper-middle-class residents to back him. He also led by several percentage points in many landed housing areas such as Tanglin in Tanjong Pagar GRC. In response to the vote margin, Dr Tan Cheng Bock's response early Sunday morning was: "It is fewer than the number of votes in the smallest SMC. But it made all the difference in deciding who gets the keys to the Istana."